If you have yet to hear of sleep dentistry, then you most likely have skipped several appointments with the dentist because of your fear of needles including the acute pain associated with their usage in injections. Your anxieties about the injection needle coming into contact with your gums can now be eliminated because of the painless dental services here at Healthy Smiles. In sedation dentistry, you and your dentist will discuss the best option to put you to sleep before the dental procedure starts. 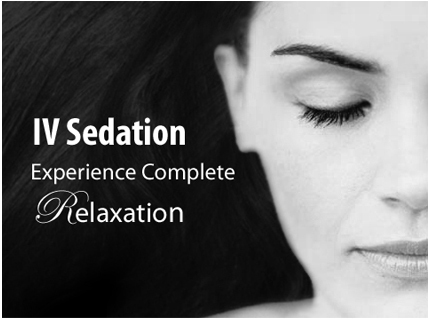 Your age, physical condition and preferences as well as the dental procedure you are about to undergo will be taken into account when choosing the sedation method. You will obviously be awaken after the procedure but you are well-advised to ask a relative or a friend to drive you home, if the sedation method calls for it. This is the best way to perform minor surgery (i.e., tooth extraction) and major surgery (i.e., wisdom tooth extraction) on patients who have extreme fear of needles or who want to avoid anxiety attacks while on the dentist’s chair. Generally, you will be put to sleep via general anaesthesia, which a registered anaesthetist will administer, before the dental procedure starts. If you have mild to moderate fear of needles or you have a severe gag reflex, then intravenous sedation is your best bet. Your dentist will also choose this sleep dentistry method when the planned dental procedure requires a single session over a prolonged period. The good news: You will have little to no traumatic memories of the procedure since you are out cold, so to speak. Don’t laugh at the use of laughing gas – nitrous oxide – in painless dental procedures. This is actually an effective method for adult patients with mild anxiety issues and for children over 6 years of age; patients with respiratory issues are unsuitable for this method. The substance provides for mild anxiety control and mild analgesic effect as well as a mild sedative effect. Keep in mind that these medications should be taken only under the supervision of a qualified healthcare professional. The side effects, risks and complications of over and/or under-dosages from these drugs can be fatal so be careful about using these drugs on your own. But when these are used as part of sleep dentistry, you can be sure that these are effective and efficient in making the pain of dental procedures a thing of the past. « Emergency Dental Clinic – How Can Your Emergency Dentist Help You?